National Testing Agency has opened the JEE Main Application Form Correction 2019 window. And Correction in the application forms can be made from 07 March 2019 till 15 March 2019. The Candidate who successfully submitted the application form and looking for the correction in the uploaded images can review and change the same by clicking on the link available “Remove Discrepancy in Uploaded Image” and “Notice: Correction in JEE Main Form“. The official link is given below to access the correction window directly. For making any changes, the applicants need their registration credentials i.e. Application Number & Password. This is a good opportunity for the candidates who submitted the application form successfully and wants to check the images they uploaded are in the correct format or not, also can rectify and upload a new image if it is required. JEE Main 2019 Application Form Correction process has been started by the National Testing Agency on 07 March 2019. JEE Main 2019 Admit card will release on 20 March 2019. As the wrong image leads to rejection of JEE Main application form. National Testing Agency has opened the window and give a chance to make a specific correction in the details entered at the time of form filling. However, JEE Main 2019 Application Form correction date has been released by NTA. Read the complete process of correcting the images uploaded in the JEE Main 2019 Application Form Correction. Find specification of images, details and important information on this page. The discrepancy in Uploaded Image removal is a one time task and can only be done once. But if not done and there is an error in it, the form will be rejected. 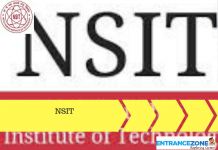 NTA opened the JEE Main Application Form Correction 2019 April Exam Window on 7th March 2019. As per the notification, NTA will not accept any request for change through an offline medium, i.e. postal applications, fax or email etc. The Applicants can only make the correction online. Also, There is only one mode of examination allowed in 2019 Exam i.e. computer-based test (Online Mode). Please find the dates related to application and correction in the table given below. Note: The aspiring candidates of JEE(Main) April, 2019 are informed that National Testing Agency (NTA) will display Answer Key and Question Paper to be attempted by the Candidates of Paper-I and Paper-II on the NTA website www.jeemain.nic.in. 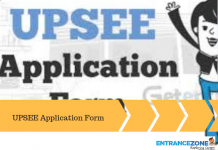 Weblink for JEE Main Application Form Correction 2019: Click Here and remove discrepancy in uploaded image(s). How to change the details in Application form while JEE Main application form correction 2019? Log in with Candidates’ application number and password. After login, the filled Application form will be displayed. And at the end of the page, a link with Edit Application Form will be displayed. Check Application Form mistakes carefully. Once Candidate will finish editing check and recheck all the edit details. Submit when you update Application Form correctly. Take a print out of updated JEE Main 2019 application form correction slip. Admit Card is compulsory for all registered candidates to appear in JEE Main 2019 Exam. 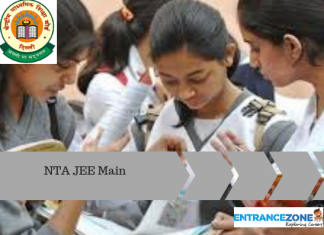 NTA will release JEE Main 2019 Admit Card on 20 March 2019. After JEE Main 2019 Application Form correction, admit card will available for the candidate to Download. 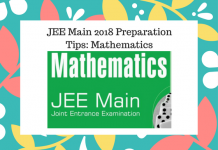 JEE Main 2019 Admit Card full details here. What is the specification for correct Image Sizes and Format? Correction in Application Form particulars – JEE Main is mention here. Official Link for JEE Main Application Form Correction here. The link to know more about JEE Main Form Correction 2019 is given here. jee main helpline, jee main category change, jee main rechecking form, correction application format, jee mains correction in application form, jee main correction date 2019, correction in jee mains form 2019, jee mains form correction date 2019, jee mains correction date 2019.